The Waikato Times has a page titled The best feijoa cake ever and readers’ other favourite recipes. This chocolate feijoa cake is the feature recipe and there are a host of other recipes for jams, sorbet, muffins, smoothies etc. Lightly oil or spray a 20cm ring tin. Line the bottom of the tin with strips of baking paper. Heat the oven to 180°C. Peel ripe feijoas (depending on size – approx 8 egg-sized feijoas) with a sharp knife. Slice each feijoa in half lengthwise, then slice thinly. Measure 1½ cups of the sliced fruit and place in a bowl with 2 tbsp brown sugar and the first ½ tsp cinnamon. Cream the softened butter and caster sugar in a small bowl with an electric beater. Beat in the eggs one after the other, then transfer the mixture to a large bowl. Stir in the prepared feijoas, sifted flour, baking soda, cocoa, second measure of cinnamon and the nutmeg alternately with the sour cream in two batches. Transfer the batter into the prepared pan and smooth the top evenly. Bake at 180°C for 45-50 minutes, or until a skewer exits cleanly from the middle of the cake. Allow to sit for 5 minutes, then turn out onto a wire rack and remove the baking paper. Allow to cool completely. Cover the top and sides with the chocolate glaze. Have you found the New Zealand Herald’s Food Hub yet? I love the revamped access to all their great recipes with the photo gallery format and the creator’s name making for easy and mouth watering viewing. 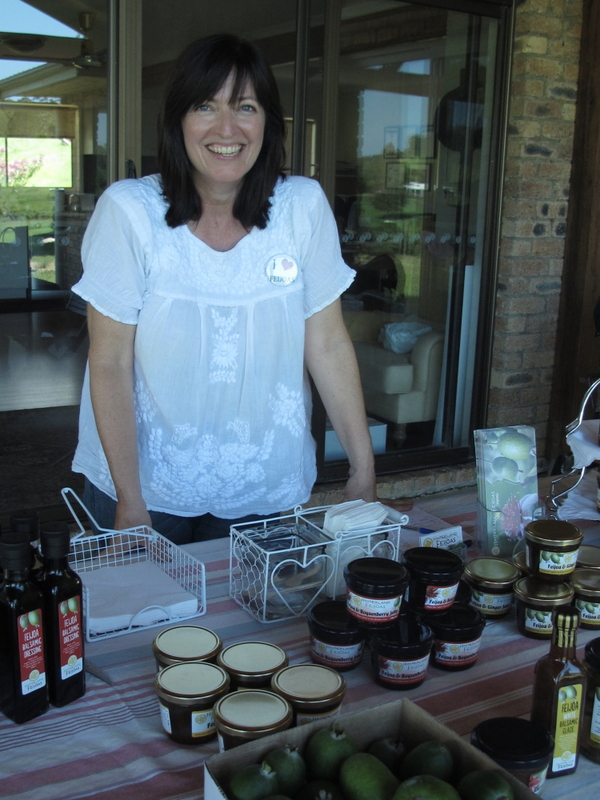 Many of those recipes are absolute tried and true classics by renowned New Zealand chefs such as Amanda Laird, Lois Daish and Jan Bilton. Because it’s really feeling like autumn with the chilly temperatures and all those fabulous autumn fruits that are finally appearing, here’s something tantalising from Jan Bilton to warm a cool evening: passionfruit-roasted nashi with feijoa fool. Preheat the oven to 180°C. Lightly butter a small baking pan. Halve the nashi crosswise. Use a teaspoon to scoop out the cores. Divide the butter, brown sugar and passionfruit pulp evenly into the centres of the nashi. Bake for 20-25 minutes, until tender. Meanwhile, whip the cream and icing sugar until thick. Mash in the feijoas and fold in. Serve the nashi warm accompanied by the feijoa fool sprinkled with a little cinnamon. I’ve needed this little lengthy break to move interstate, settle into a strange place, fix my broken back and generally feel comfortable in a new skin. So thank you for your patience while these pages have languished. On the weekend, I celebrated life in our new home with a visit to the wonderful Hinterland Feijoas on the Sunshine Coast. That’s my bonus from our shift: I no longer have trees to grow myself but I am closer to trees that grow well!! 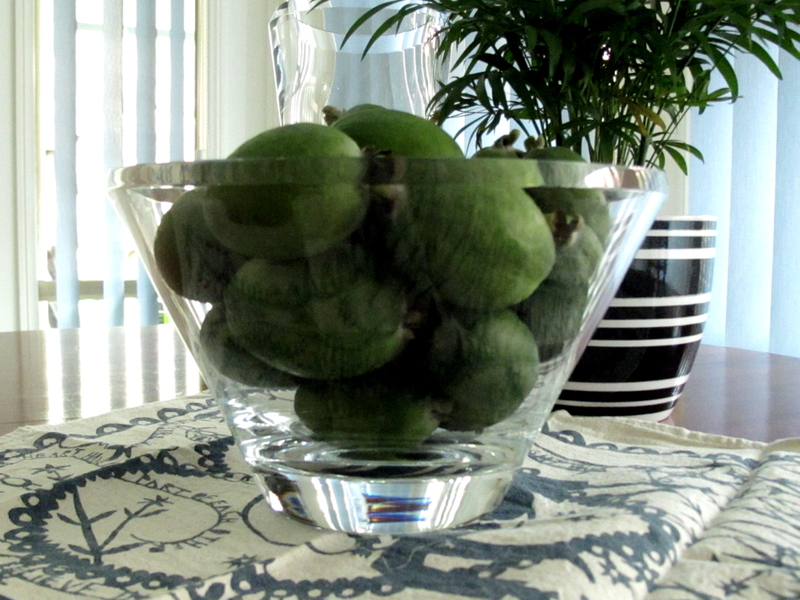 Happy feijoa season to you, if you’re south of the equator of course. The best thing about a blog, I have to say, is the people who take the time to comment and email. I read that on other people’s blogs – big famous blogs – and I know it to be true. A little while ago, I received a request from a gentleman in Azerbaijan who was looking for a lot of feijoa trees. 200,000 to be exact. I had to email him to check he really needed that many and that it wasn’t a hoax. And yes, he does and no it isn’t. Parviz Ilyasov is the business development manager of the Agricultural company, IKAR-S, based in Baku, Azerbaijan’s capital. You can check out all the amazing things grown in Azerbaijan on their website http://www.ikar-s.az (site now defunct). I love that they keep bees too. 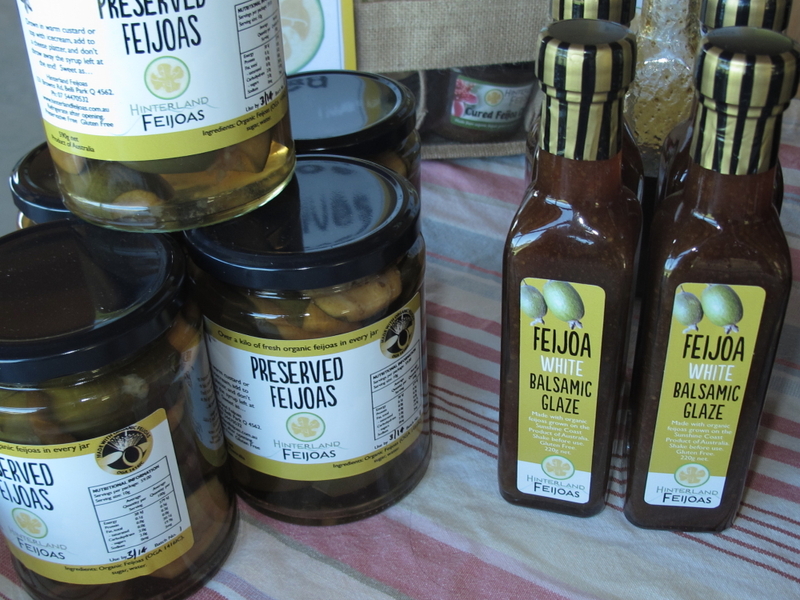 I’ve known for a while that there is a thriving feijoa industry in Azerbaijan. I find their products all over the web, with labels written in Azerbaijani but I haven’t been quite sure how to feature them, not speaking or reading that language. 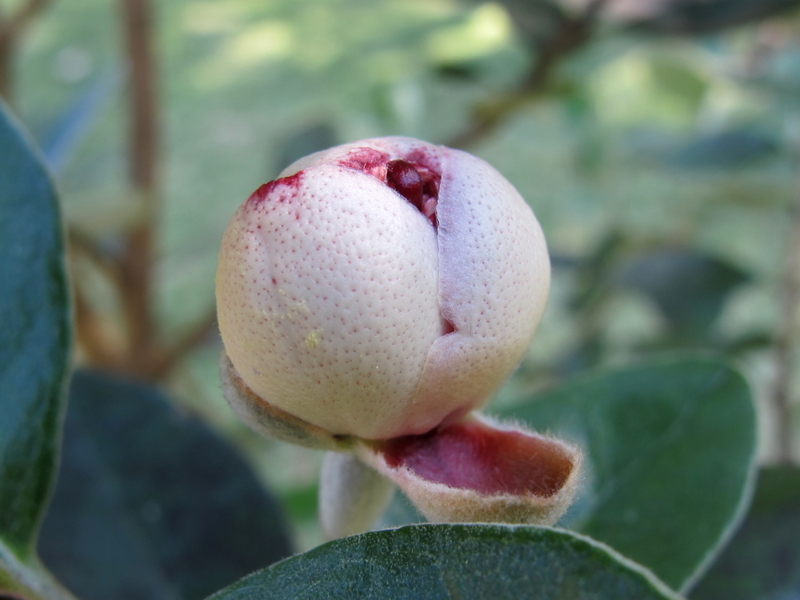 So I just wanted to shout out this request to any of the feijoa growers who visit this page… I’m quite aware that I don’t even know the export requirements for live trees and I wonder if there is in fact any grower in Australia who could attempt to deliver such an order or part of an order with the industry in its fledgling state. 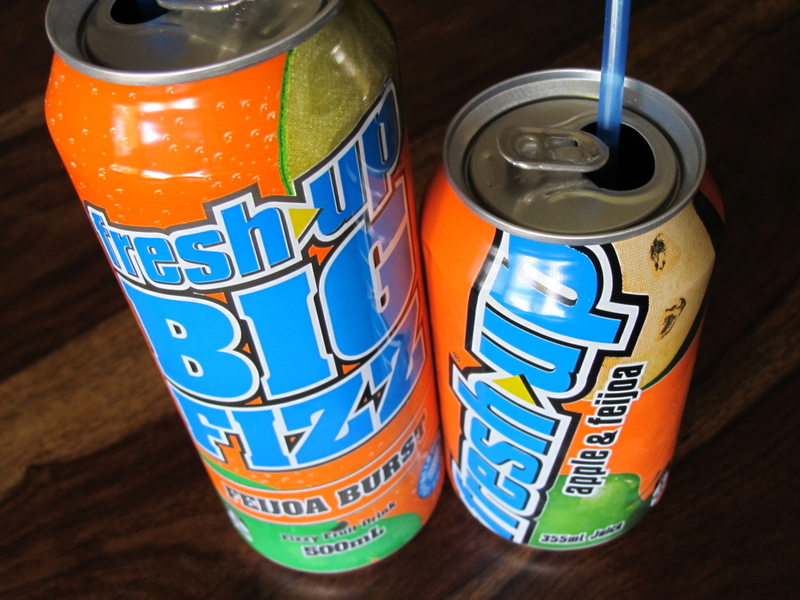 Or maybe New Zealand’s Feijoa Growers’ Association may be able to co-ordinate a shipment of this kind? It’s an interesting request with many challenges, no doubt … if you’ve got any ideas on this one please contact Mr Ilyasov via his website or post your comments below. It’s 41 degrees Celsius at our place on this auspicious day (a catastrophic fire day for NSW)… and we are packing brown boxes! Well, I’m taking a breather – it’s definitely hot in here. Tomorrow we leave our Central Coast hideaway and (small sob) my feijoa trees and head back to city life – moving interstate to a climate where I’m pretty sure feijoas don’t fruit. It’s a long story is all I can say. Without my trees I am not sure in which direction feijoafeijoa will go. I can continue to reflect all the amazing stuff that everyone else is doing and forget about my own plans for this space or I can reinvent or I can abandon. I’ll think about that on the journey north. Happy New Year and thanks for stopping by. I know I have a backlog of comments to respond to and posts to go up and maybe I can start work on the next 100 fabulous recipes. Once I’ve unpacked all these brown boxes! I didn’t hand pollinate this year… and as a result there was no fruit from all the lovely flowers the tree produced. That’s OK. I couldn’t stand to leave a fruiting tree behind. Hoping the new owners appreciate the rich bounty that awaits them in coming years. I’ve never considered growing feijoas from seeds – I can nurture a sapling but seedlings and me have a bad track record. If anyone has managed to grow feijoas from seed, please share the secrets of your success.